21 in. High Wheel Push Gas Lawn Mower with Honda Engine. For homeowners seeking a reliable mower that is budget-friendly and has features that make mowing easier. Lawn-Boy is Easy to Handle, but Hard to Beat. *The gross torque of this engine was laboratory rated at 2800 RPM per SAE J1940 by the engine manufacturer, As configured to meet safety, emission, and operating requirements, the actual engine torque on this class of mower will be significantly lower. **Actual products offered may vary. 3-year true-start commitment - starts on 1 or 2 pulls or Lawn-Boy will fix it for free. 2-year no worry warranty - it's all covered under Lawn-Boy 2-year complete coverage warranty, ask your retailer for details. 21-inch Gas-Powered Push Lawn Mower with Honda 160 OHC Engine 21 in. High Wheel Push Gas Lawn Mower with Honda Engine. For homeowners seeking a reliable mower that is budget-friendly and has features that make mowing easier. Lawn-Boy is Easy to Handle, but Hard to Beat. 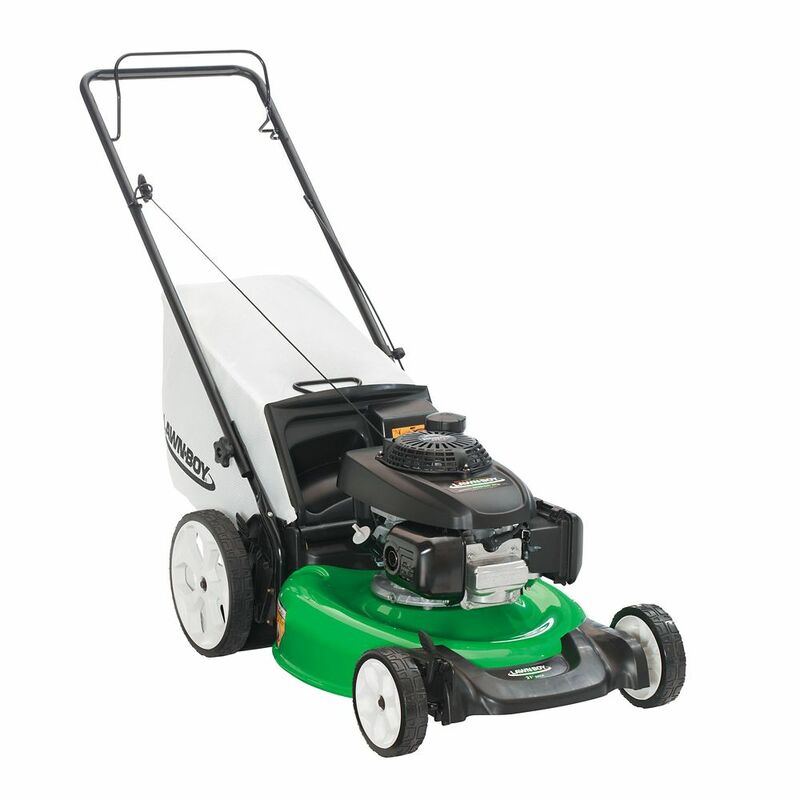 21-inch Gas-Powered Push Lawn Mower with Honda 160 OHC Engine is rated 3.7 out of 5 by 91. Rated 5 out of 5 by Billy817 from This is the third Lawn Boy I have owned. It the most reliable reliabe mower I have used.The last ... This is the third Lawn Boy I have owned. It the most reliable reliabe mower I have used.The last one I owned died of old age. The mower is almost problem free. Five Stars*****!!! Rated 2 out of 5 by Ron from The handle broke off at the base after the first summer, looks like cheap pot metal which cannot ... The handle broke off at the base after the first summer, looks like cheap pot metal which cannot be welded..... engine GREAT !!! Rated 5 out of 5 by Herbert from Started first pull!! impressive.... Started first pull!! impressive. Rated 1 out of 5 by PainInTheGrass from Save your money Save your money Bought this mower mainly due to the Lawnboy and Honda names. Got it home, had it assembled in no time and started it up - no issues. Started cutting and was immediately disappointed. Had a very tough time getting through my 40x60 ft front yard - mulcher constantly choking on the clippings stalling the engine. Previous mower had no issue with this. Went back to Home Depot the very next day looking to return it. No luck, Could not return the mower as it was used. At a friends suggestion I replaced the mulching blade. No change in performance. Noticed recently that the handle bars are now bent. Pros: Pretty green color. Cons: Can't power through a medium sized lawn. Substandard materials (handle bars). Rated 4 out of 5 by DRB1207 from I have a very small yard and don't require a... I have a very small yard and don't require a lot of mower for my lawn up keep. This mower is high quality deck and engine, reliable, easy start up, and easy to assemble. There might be higher quality mowers out there with more features, but for my purposes, this one fits my needs perfectly. does this mower have a side discharge or do you have to use the bag option. Thank you for your question. Yes, it can side discharge. The discharge chute is attached at the rear, where the bag is attached. In order to avoid waste and help the environment, a side discharge chute is not included in the carton for this model (since most customers prefer to mulch or bag their grass clippings). If you do want to use a side discharge chute for your clippings in the future, you will be offered the opportunity to have one sent to you, at no additional charge, when you register your mower with Lawn-Boy at https://www.lawnboy.com/en-ca/customer-support/product-registration. If the drive system fails, can you disengage it and use it as a regular push mower? This mower is a push mower already so it does not have a drive system. If you bought one with a self propelled mower and the drive system stopped working it would be hard to push it around the yard depending on the failure. can you cut the lawn with the bag off? I assume this is referred to as mulching? does this have side discharge capability? do you have o install something for side discharge? Does the engine have a fuel shut off valve ? Update to my earlier response. Noticed that the 2016 version of the GCV160 does have a fuel shut off as equipped on a Husqvarna 7021P mower. I can't see why it would be any different on the Lawn Boy. It is just to the rear of the air cleaner. Sorry for the previous misinformation!